This summer I'm participating in a CSA (Community Supported Agriculture) program. The way this one works is that you purchase a "share" for the season which translates to a weekly produce box from June till November. My box includes 8-10 freshly picked fruits or veggies, a dozen fresh farm eggs, and a bread item from a local bakery that uses freshly milled wheat. It's been an awesome experience thus far and actually not too expensive seeing as the produce is organic and locally sourced. Obviously the produce is supposed to be the star of the show and the eggs and bread simply extras, but I've had a blast trying different bread products. Since I make my own sandwich bread, I've been free most weeks to try a "fun" bread item. I've tried pretzel rolls, challah bread, and the inspiration for this recipe--blueberry corn bread! I'd never had such a thing and found it tasty as well as intriguing. So I turned to Pinterest for a version to bake at home. This recipe from Two Peas and Their Pod might be even tastier than the cornbread I had from the bakery as I think I've eaten 6 muffins since baking them this morning. I used fresh blueberries from the week's box, but you could easily use frozen. I've made this recipe with regular buttermilk as well as King Arthur's buttermilk powder with great results each time. Light and airy, these muffins make for the perfect morning breakfast accompaniment or afternoon snack. Preheat the oven to 400 degrees. 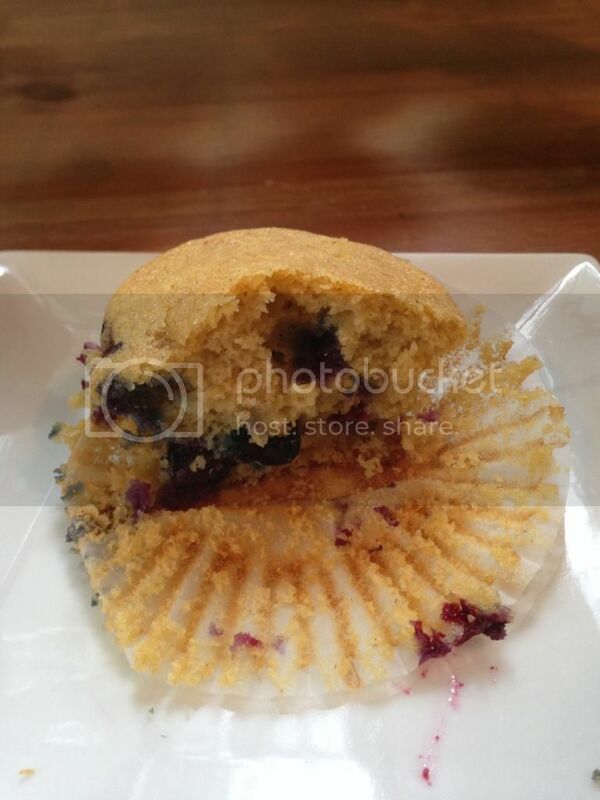 Prepare a standard sized muffin pan with paper cups or spray with cooking spray. In a medium bowl, whisk the buttermilk, melted butter, canola oil, vanilla, and eggs until well blended. Pour the liquid ingredients over the dry ingredients and mix until combined. The batter will be lumpy. Gently fold in the blueberries. Divide the batter evenly among the muffin cups. Bake for 15 minutes, or until the tops are golden and a toothpick inserted into the center of the muffins comes out clean. Transfer the pan to a rack and cool for 5 minutes. 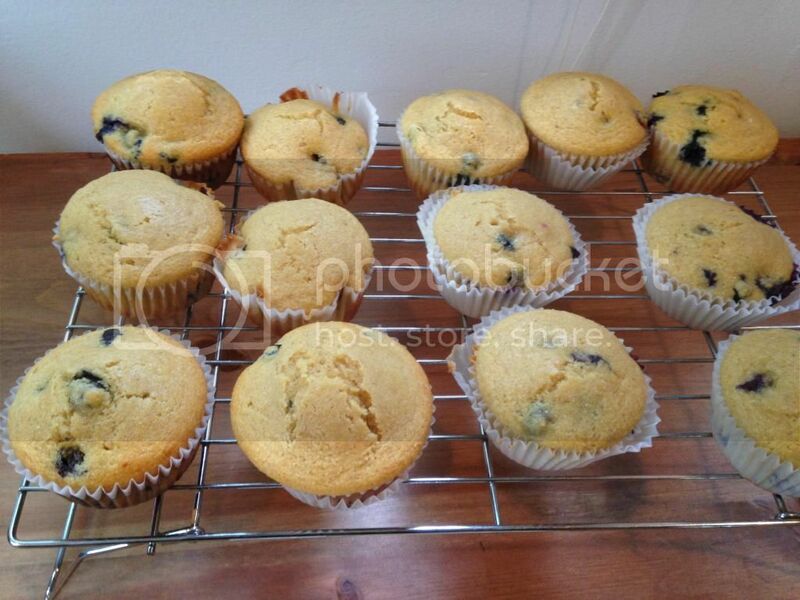 Remove muffins from pan and serve or cool completely for storage (1-3 days) or freezing.